Just like natural teeth, Drs. Hacker, Finnegan, D'Annunzio will tell you that dentures have a tendency to get coated with plaque, which is a sticky, transparent film that attracts food and bacteria. When you don’t take care of your dentures adequately and regularly, plaque can build up, harden, and become difficult to remove. More importantly, it can result in dental problems, including gum disease and infection. Proper care for your dentures also helps them maintain their shape, fit the way they are supposed to, and last longer. Over time, even with diligent daily care, your dentures may form difficult-to-remove tartar. When this happens, our team at Branford Dental Care uses a powerful ultrasonic cleaner to remove stubborn, denture build-up. 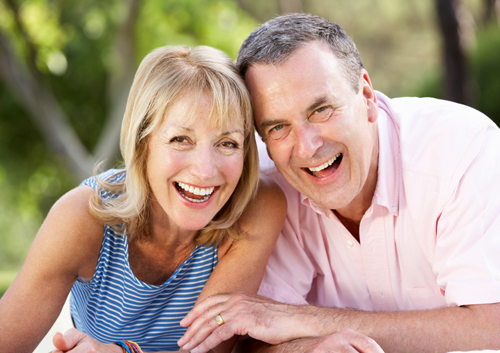 Proper care for your dentures can help retain their shape, prevent oral issues, and increase their longevity. Visit Drs. Hacker, Finnegan, D'Annunzio regularly at our convenient Branford, CT office to maintain your oral health and keep your dentures in tip-top shape.